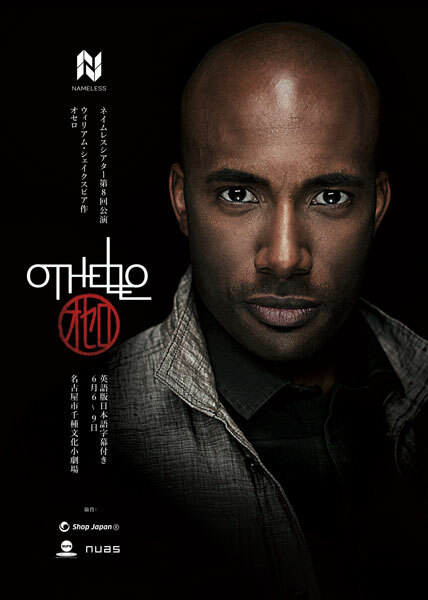 Following the success of last season's A Midsummer Night's Dream, Nameless Theatre is preparing for an evening of jealously, betrayal and revenge as they bring Shakespeare's thriller, Othello, to Nagoya this June. Powerful and influential, Othello is an entrepreneur at the peak of his powers. But when the "green-eyed monster" slowly begins to convince him of the infidelity of his wife, Desdemona, he embarks on a mission of bloody vengeance. Sleek, fast-paced and as up to date as when it was first penned, Shakespeare's revenge tragedy shows us the power love has to unite, strengthen, and destroy. Access: A 3-minute walk from Fukiage Station exit 7, or a 10-minute walk from Imaike station exit 9 on the Higashiyama Subway Line. Admission: General admission 4,000 yen in advance (5,000 yen at the door). Discounts available for groups of 10 or more.